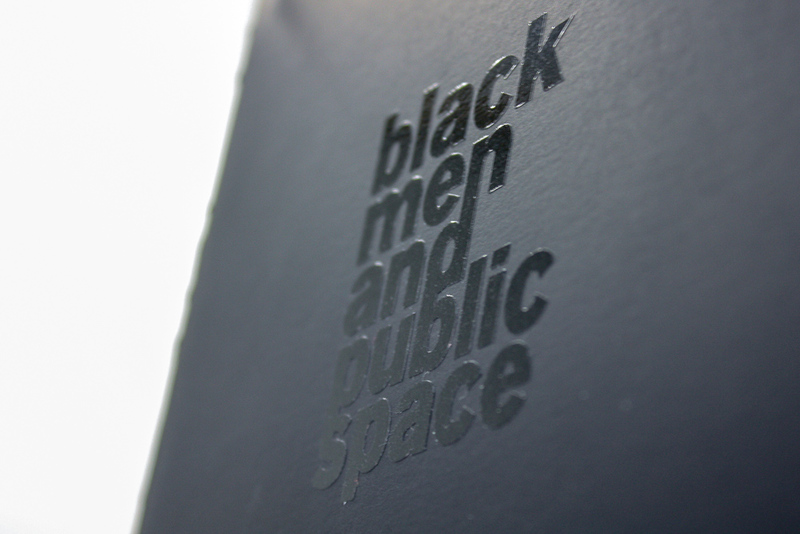 This chapbook is a setting of the essay "Black Men and Public Space" by Brent Staples, an author and editorial writer for the New York Times. 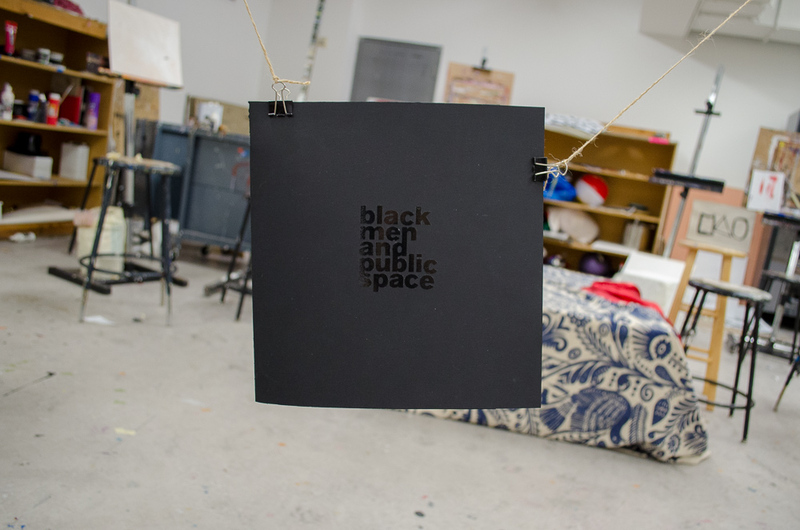 The piece depicts the uncomfortable encounters the author, as a black male, has with racism. 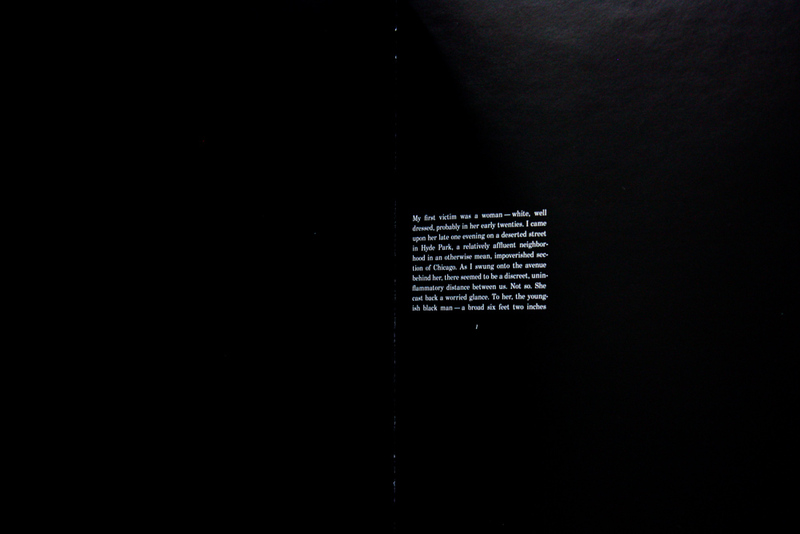 The wide margins in the book, as well as the dark page color, create an awkward and uncomfortable read, mirroring the content of the essay. 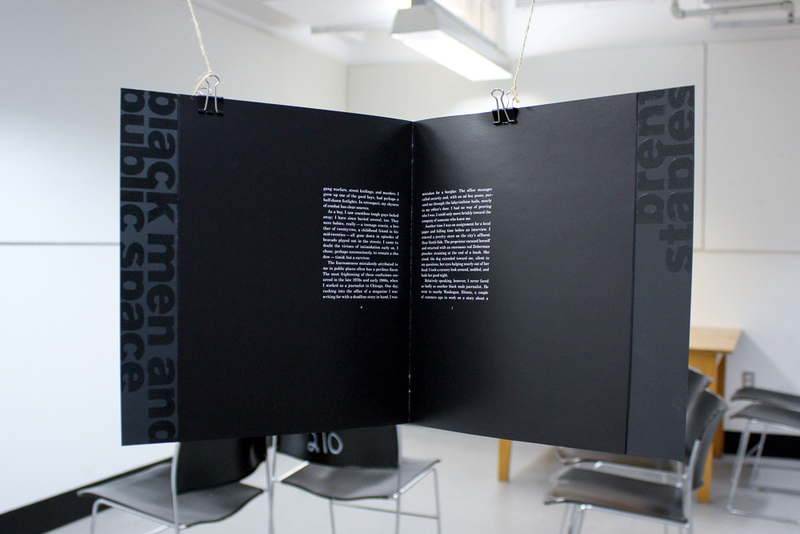 The cover of this chapbook uses Neenah Plike cover weight paper, which has a soft, velvety texture. 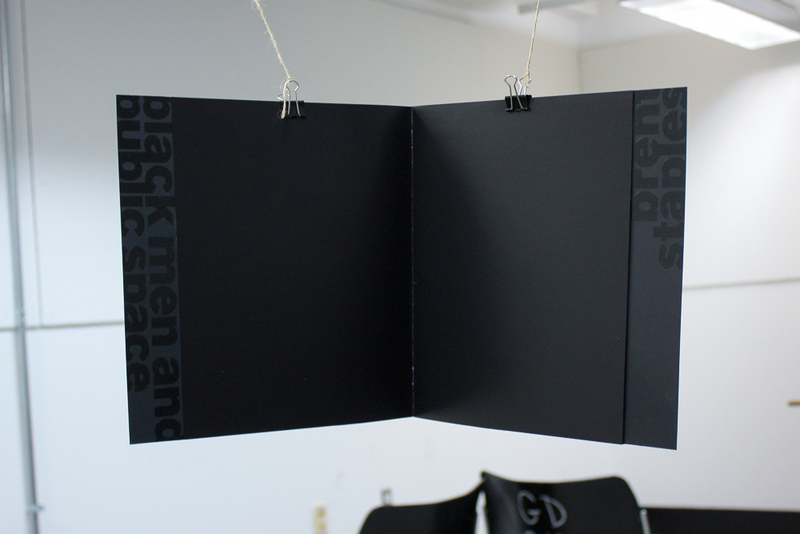 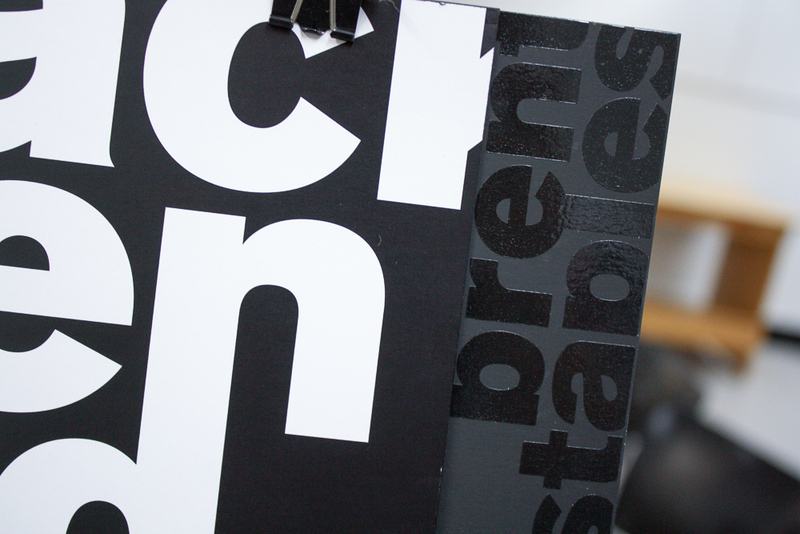 In contrast, the title and author are glossy, a look achieve by the faux foil transparent vinyl adhesives. 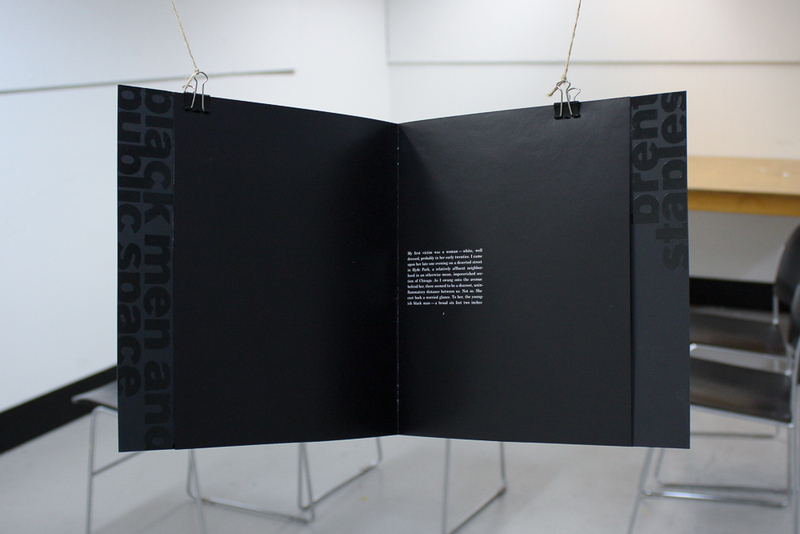 The typefaces used are Berthold Akzidenz-Grotesk Super and Century Schoolbook BT. 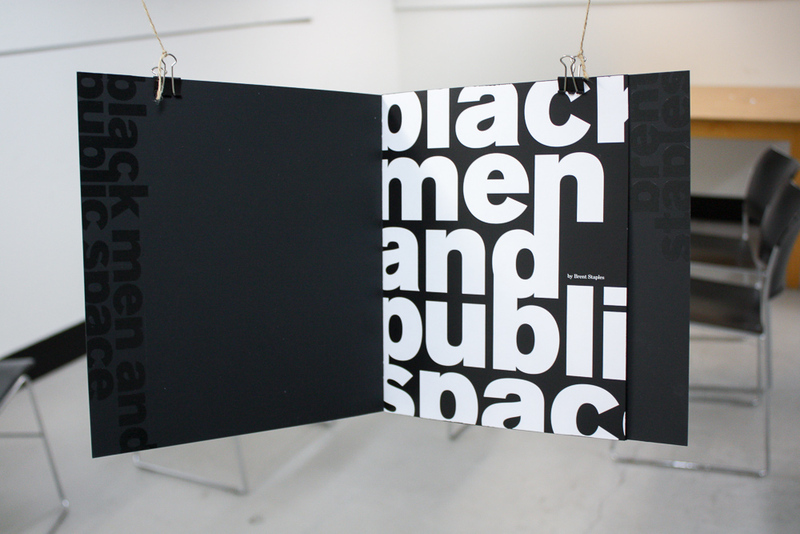 This book was designed and printed in 2016 and reprinted in 2017.